This pure white bouquet of Casa Blanca lilies makes an elegant statement as a perfect floral tribute, centerpiece or decorative arrangement. These lovely lilies also leave a soft fragrance in the air. 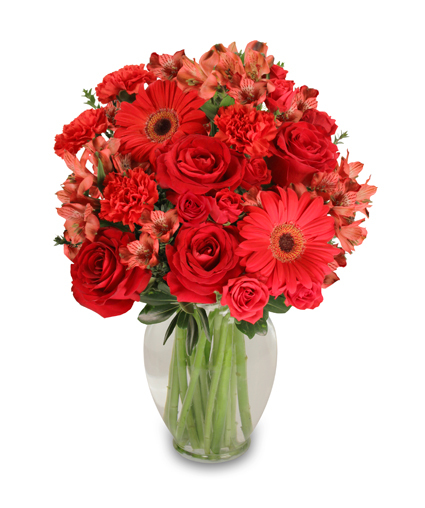 Show loved ones that you care with fresh flowers from VANESSA'S FLOWERS. Spring into summer with this colorful, eye-popping bouquet from VANESSA'S FLOWERS! Blooming with hot pink and orange roses, lime green Fuji mums, pink tulips and stems of orange and pink alstroemeria, our Vibrant Vibes will brighten up the room and boost their spirits to the sky! Call and place a direct order or send fun and cheerful flowers now from our website.
' onclick='return openInNewWindow(this);'>Save $$ and time by ordering from a ‘real’ local florist like Vanessa's Flowers!